The RPHP “Tooth Fairy Project-” grew out of the work of Dr. Jay Gould, Director of the Radiation and Public Health Project (RPHP) and author of The Enemy Within: The High Cost of Living Near Nuclear Reactors. …of the 3,000-odd counties in the United States, women living in about 1,300 nuclear counties (located within 100 miles of a reactor) are at the greatest risk of dying of breast cancer. Dr. Gould found even higher risks for prostate cancer among men living in nuclear counties. 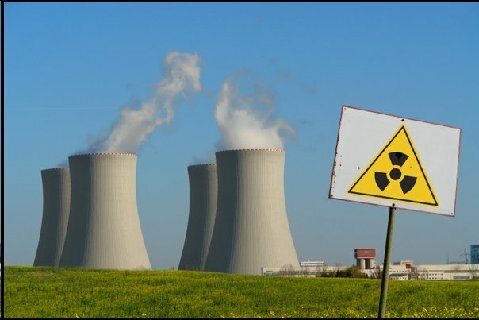 Since their inception, nuclear power plants and bomb facilities have been emitting fission products through accidental releases and through regular allowable emissions that the government classifies asbelow regulatory concern. Radioactive Strontium-90 (Sr-90) is one of these elements, and one of the deadliest. The chemical structure of Sr-90 is so similar to that of calcium that the body gets fooled and deposits Sr-90 in the bones and teeth where it remains, continually emitting cancer-causing radiation. Most of the strontium in the baby teeth is transferred to the fetus by the mother during pregnancy. Because we know when and where the baby was born, and where the mother lived while carrying, we can accurately determine when and where radioactivity was absorbed from the environment. The Federal Government no longer measures strontium intake in baby teeth. Yet RPHP believes it is important to know what the facts of our radioactive exposure actually are. Thus, RPHP has launched its own national study of the levels of radioactivity in American baby teeth. What will RPHP’s study do? This study will gather the necessary clinical evidence to determine whether nuclear weapons fallout and power reactors are affecting our public health and contributing to America’s cancer epidemic–impacting the health and mortality of newborn children and damaging future generations. Once RPHP has sufficient teeth, and is able to conduct statistical analysis of the data, it will become clear whether or not strontium is entering our bodies from nuclear power and bomb facilities. Should it prove that this is in fact the case, RPHP will then disseminate the results of its research to the public, to Congress, and to the media. That strontium-90 levels in children today are at levels that merited such great concern in the past. That strontium-90 levels are significantly higher in nuclear counties (counties located within 100 miles of nuclear reactors) than in non-nuclear counties, thereby coinciding with increased breast and prostate cancer mortality rates. That a Chernobyl Effect is detectable in U.S. baby teeth during the 1980s. That strontium-90 levels in U.S. baby teeth show a temporal increase, year after year, throughout the 1980s and 1990s, reflecting the impact of low-level radiation emissions from commercial nuclear reactors. If the current Baby Teeth Study finds compelling clinical evidence of increasing radioactive contamination of the American population, such findings may have the breakthrough policy impact of the first US baby teeth study conducted from 1958 – 1963. The results of the first study were instrumental in the signing of an atmospheric test ban treaty by the US and the former-USSR. Today, such evidence would provide the scientific basis for initiating a national dialogue and public policy debate on the low-level radiation/public health issue. Our current teeth study is directed by Dr. Ernest J. Sternglass, Professor Emeritus of Radiological Physics at the University of Pittsburgh Medical School and Senior Associate of the RPHP. This study replicates a similar study first conducted 40 years ago. In 1958 dental associations in St. Louis, organized by Dr. Barry Commoner, concerned about increasing fallout from aboveground nuclear tests, independently began collecting baby teeth to ascertain strontium-90 levels since the bomb tests began in 1945. It was soon clear that there had been statistically-significant, geometric increases since 1951. More than 60,000 teeth were collected and, by 1965, peak levels of about 5 pCi/grCa, were reached, indicating a fifty-fold increase since 1951. The St. Louis findings were supported by UN measurements of the strontium-90 levels found in the bone in autopsies of New York City adults who died each year from 1955 to 1970. By the 1960s, at least two dozen nations began their own measurements of strontium-90 levels in the teeth of children, which are better than autopsies performed on adult cadavers, because birthdates provide a better indication of when one’s major burden of Sr-90 was acquired. All published studies tell a similar story; peak levels were reached in the mid-1960s, when the huge amounts of Sr-90 released in the final massive US/USSR hydrogen bomb tests of 1962 finally rained out by 1964 and 1965. In the 1970s, Sr-90 levels in baby teeth dropped back down to about 1 pCi/grCa, about the same level reached in the US by 1958. Studies published by Denmark and Japan were continued until the early 1980s, suggesting that sometime in the mid-1970s the strontium-90 levels in teeth leveled out, followed by a slight upturn. However, a current study of some 6,000 German baby teeth collected since 1992 by the German Section of the International Physicians for the Prevention of Nuclear War–winner of the 1985 Nobel Peace Prize Award–found the trend has changed. The German Section of the International Physicians for the Prevention of Nuclear War found a tenfold increase in the teeth of German children born in the period following the arrival of Chernobyl fallout in May of 1986, as compared with children born in 1983. RPHP has translated and published the first IPPNW report: Ten Years After Chernobyl: The Rise of Strontium-90 in Baby Teeth . Our own study replicates the IPPNW protocols, in securing for each tooth analyzed the birthdate and place of birth of each child. As of April 2003, we have collected 4000 teeth. To simplify the process of teeth and data collection, RPHP has created a special questionnaire to be filled out by the mother. The questionnaires and baby teeth mailing instructions can be downloaded from this site. Or, for envelopes with the teeth form pre-printed on them, email us with your name, address, and phone, and how many envelopes you need. Once the teeth are received by RPHP, the information is loaded into our database, the teeth are coded for anonymity, and then sent for analysis. They are analyzed for levels of strontium, utilizing advanced scintillation analysis techniques. Once sufficient data is collected, the results of the baby teeth study will be reported to the public, the press, and policy makers.